Miss America is an annual competition that is open to women from the United States between the ages of 17 and 25. Originating in 1921 as a "bathing beauty revue", the contest is now judged on competitors' talent performances and interviews. As of 2018, there is no longer a swimsuit portion to the contest, or consideration of physical appearance. Miss America travels about 20,000 miles a month, changing her location every 24 to 48 hours, touring the nation and promoting her particular platform of interest. The winner is crowned by the previous year's titleholder. The Miss Arkansas competition is the pageant that selects the representative for the state of Arkansas in the Miss America pageant. Arkansas has won the Miss America title three times. Texas Tech University, often referred to as Texas Tech, Tech, or TTU, is a public research university in Lubbock, Texas. 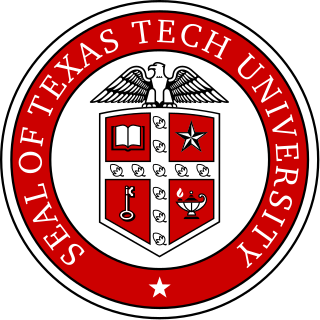 Established on February 10, 1923, and originally known as Texas Technological College, it is the flagship institution of the four-institution Texas Tech University System. The university's student enrollment is the seventh-largest in Texas as of the Fall 2017 semester. The university shares its campus with Texas Tech University Health Sciences Center, making it the only campus in Texas to house an undergraduate university, law school, and medical school. El Dorado is a city in, and the county seat of, Union County, on the southern border of Arkansas, United States. According to estimates, the 2012 census, the population of the city is 18,491. Elizabeth Ward Gracen is an American actress and beauty pageant contestant who won the title of Miss America in 1982. 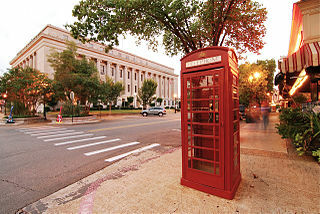 Lubbock is the 11th most-populous city in the U.S. state of Texas and the county seat of Lubbock County. With a population of 256,042 in 2015, the city is also the 83rd most-populous in the United States. The city is located in northwestern part of the state, a region known historically and geographically as the Llano Estacado and ecologically is part of the southern end of the High Plains, lying at the economic center of the Lubbock metropolitan area, which has a projected 2020 population of 327,424. Phyllis Ann George, Miss America 1971 and Miss Texas 1970, is an American businesswoman, actress, and former sportscaster. 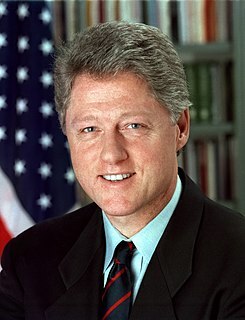 She was also the First Lady of Kentucky from 1979 to 1983. Eva Leanza Cornett is an American television personality and beauty pageant titleholder who was crowned Miss Florida 1992 and Miss America 1993. Gretchen Lynn Polhemus-Jensen is an American actress and beauty pageant titleholder who won Miss USA 1989 and second runner-up to Miss Universe 1989. Jayne Anne Jayroe-Gamble is a well known broadcaster, author and public official and former American beauty queen from Laverne, Oklahoma, who was Miss Oklahoma in 1966 and Miss America in 1967. Jayroe worked as an anchor in TV News in Oklahoma City and Dallas-Fort Worth broadcast media markets for 16 years. Later, Governor of Oklahoma Frank Keating appointed her to serve as his Secretary of Tourism and Recreation in his Cabinet. She served in that position from 1999 until 2003. Jayroe has authored numerous articles and books and was spokesman for The Presbyterian Health Foundation. Kasi Laine Kelly is a beauty queen from Bridgeport, Texas who has competed in the Miss USA pageant. She was born to Wiley and Toni Harkins Kelly. She has one sister named Kristi. Crystle Danae Stewart is an American actress, television host, model, and beauty pageant titleholder who won Miss USA 2008. Stewart portrayed the character real estate agent Leslie Morris on the OWN/TBS comedy-drama television series Tyler Perry's For Better or Worse. The Miss Texas' Outstanding Teen competition is the pageant that selects the representative for the U.S. state of Texas in the Miss America's Outstanding Teen pageant. The pageant is held each July at the Charles W. Eisemann Center for Performing Arts in Richardson, Texas. Miss America 2003, the 76th Miss America pageant, was televised live from Boardwalk Hall in Atlantic City, New Jersey on Saturday, September 21, 2002 on the ABC Network. The pageant was won by Erika Harold of Illinois. Gus Franklin Mutscher is a former Speaker of the Texas House of Representatives, having served from 1969 to 1972. He was one of several Texas politicians indicted in the Sharpstown bank stock fraud scandal. He was convicted and sentenced to five years probation for conspiring to accept a bribe. Mutscher, however, was later cleared on appeal. Miss America 1993 was the 66th Miss America pageant, and was held on Saturday, September 19, 1992. Ellen Meade is an American beauty pageant titleholder who won Miss Florida 1973. Alyse Cynthia Eady is an American news anchor and beauty pageant titleholder who was Miss Arkansas 2010. Eady was named first runner-up at the 2011 Miss America pageant, which was won by Miss Nebraska 2010 Teresa Scanlan. Ashley Lauren Melnick is an American beauty pageant titleholder who won the title of Miss Texas 2010. She competed in the Miss America 2011 Pageant on January 15, 2011, in Las Vegas, Nevada, placing in the Top 12. She competed at the pageant as Miss Fort Worth, and it was her third try for the title. She also won the Preliminary Talent and Preliminary Physical Fitness awards. Her platform is “The Voice of Autism” which she chose because her older brother is autistic. Her goal is to educate others both on autism and the needs of those who are autistic. She is a senior at Texas Christian University with a major in broadcast journalism and a minor in political science. Her career goals are to become both a news broadcaster and a recording artist. Danielle Doty is an American beauty queen who was crowned Miss Teen USA 2011. Shannon Lee Sanderford is an American beauty pageant titleholder from Coppell, Texas, who was crowned Miss Texas 2015. She competed for the Miss America 2016 title in September 2015 and placed in the Top 10. Destiny Vélez is a beauty pageant titleholder from San Juan, Puerto Rico, who was crowned Miss Puerto Rico 2015. She competed for the Miss America 2016 title in September 2015 and placed outside the Top 15. On December 20, 2015, she was suspended indefinitely from her Miss Puerto Rico position after a series of anti-Muslim comments via Twitter. 1 2 3 4 5 "Arkansas' first Miss America, Donna Axum Whitworth, passes away". Magnolia Reporter. Retrieved November 5, 2018. 1 2 "Donna Axum Whitworth, Miss America in 1964, dies at 76". Arkansas Times. Retrieved November 5, 2018. ↑ "Delta Delta Delta". University of Arkansas. Retrieved November 5, 2018. 1 2 3 4 5 6 7 8 "1st Miss America from Arkansas dies at 76". Northwest Arkansas Democrat Gazette. Retrieved November 6, 2018. ↑ "Donna Axum Whitworth, first Miss Arkansas to be crowned Miss America, dies at 76". THV11. Retrieved November 5, 2018. ↑ Kinch Jr., Sam; Procter, Ben (1972). Texas Under a Cloud: Story of the Texas Stock Fraud Scandal. Jenkins. ↑ "Miss America History 1964". Archived from the original on June 5, 2008. Retrieved December 31, 2006. 1 2 3 4 Hendricks, Nancy. "Donna Axum Whitworth (1942–)". The Encyclopedia of Arkansas History and Culture. Central Arkansas Library System. Retrieved February 4, 2018. ↑ "First Miss Arkansas To Win Miss America Dies At 76". 5NewsOnline. Retrieved November 5, 2018. Wikimedia Commons has media related to Donna Axum .